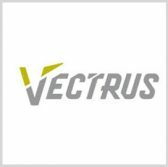 Vectrus has won a potential $59.7M task order to support operations at a U.S. Navy facility located in Guantanamo Bay, Cuba. The company will help the military service maintain grounds and manage utilities, electrical, wastewater, water and base support vehicles and equipment of the naval station, the Defense Department said Tuesday. Work will also include family housing, facility investment, custodial, pest control and integrated solid waste management services. The task order is part of a previously awarded global contingency service contract and contains a $28.7M base value along with two six-month options. The Navy received three proposals for the project and will obligate $21.5M in fiscal 2019 funds at the time of award.